No one knows what day it is. This stretch of Euro swell has been sublime; five, six, seven, who-even-knows how many days of non-stop, near-flawless waves. 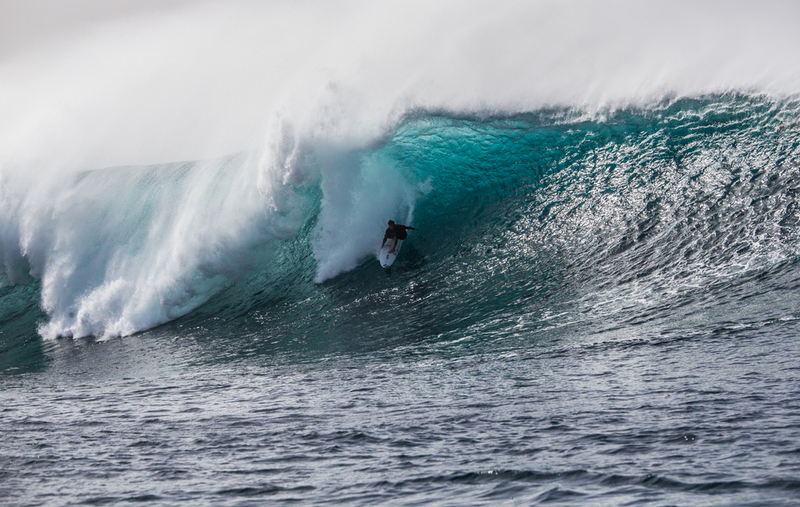 Yet, those good vibes have also been shrouded in tragedy, while an all-time pulse hammered Europe's Hawaii in the Canaries, a local bodyboarder died solo surfing a heavy secret spot. 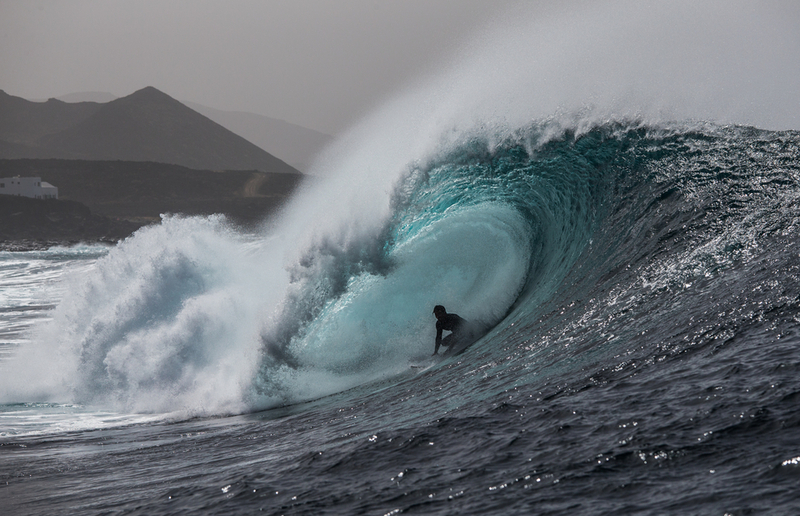 Santi Cruz, 27, was found by other surfers, unconscious, in the northwest region of Lanzarote – well known for its volcanic rock bottom. 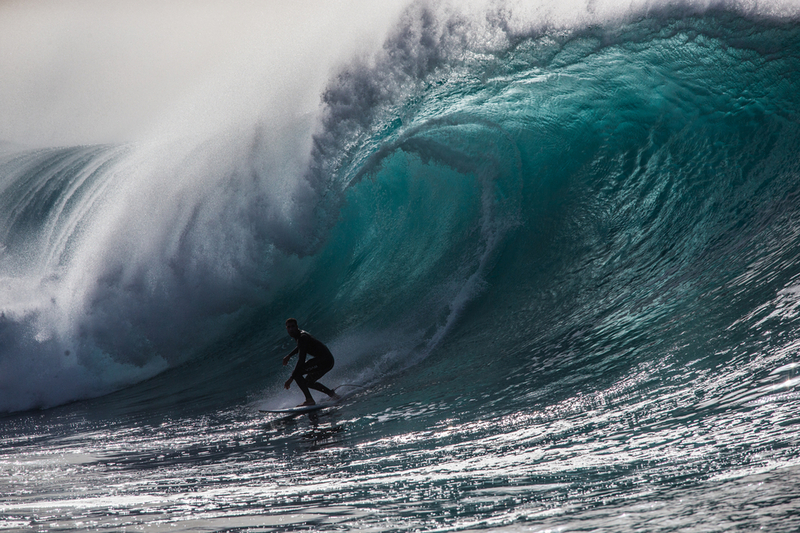 The Tenerife bodyboarder had a deep head wound and emergency services were unable to revive him. 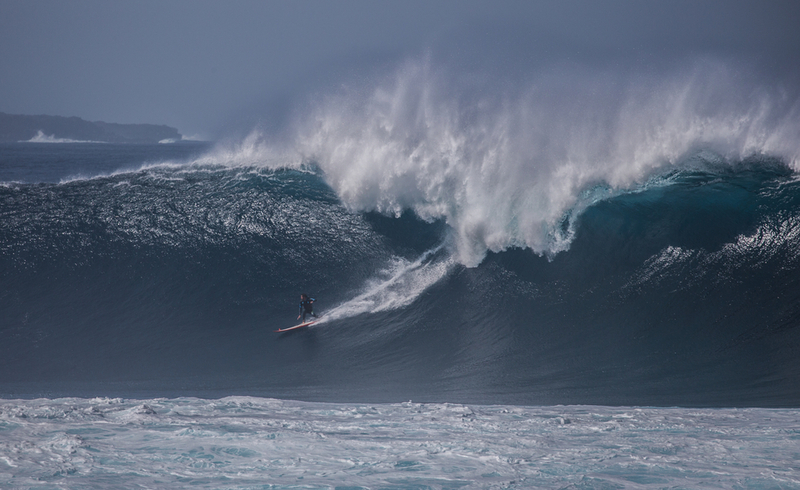 Santi died on Saturday morning, just as an XL run, unlike anything seen in the Canary Islands for years, was rapidly filling in. How's your geography? Canary Islands are off the west coast of Africa... and location-wise are more African than Europe. You can see the fetch from this system would have pummelled European Hawaii. Go HERE to see the full swell signature. And the sessions that followed were all a little hazy. 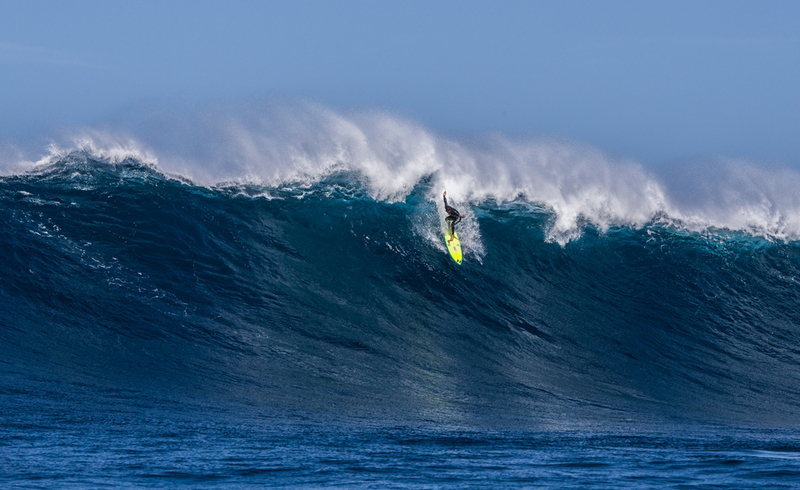 Partly due to dealing with that grief while getting in the right headspace to tackle an insane swell. 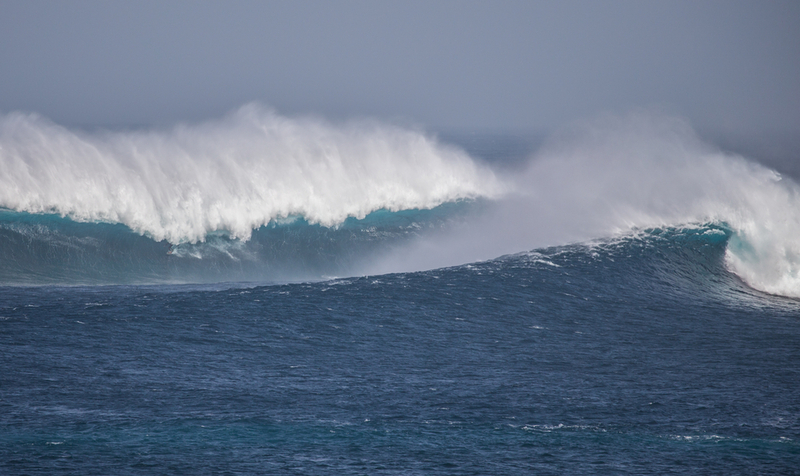 Especially as one of the more prominent big wave spots in the Canaries was going berserk. But the crew knew they had to press on. “It felt like, we had to do this, we had to celebrate his memory,” added Manu. 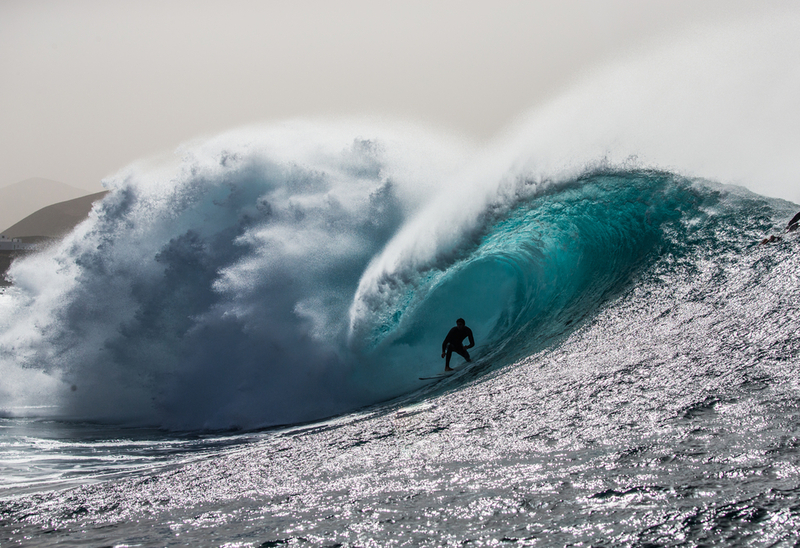 Sancho on one of the waves of the run. There is a reason the Canaries are compared to Hawaii, and it's not just that they share a rock-bottomed bathymetry. At size, they can both be voluminous, heavy and critical; this is not the land for the feint hearted. 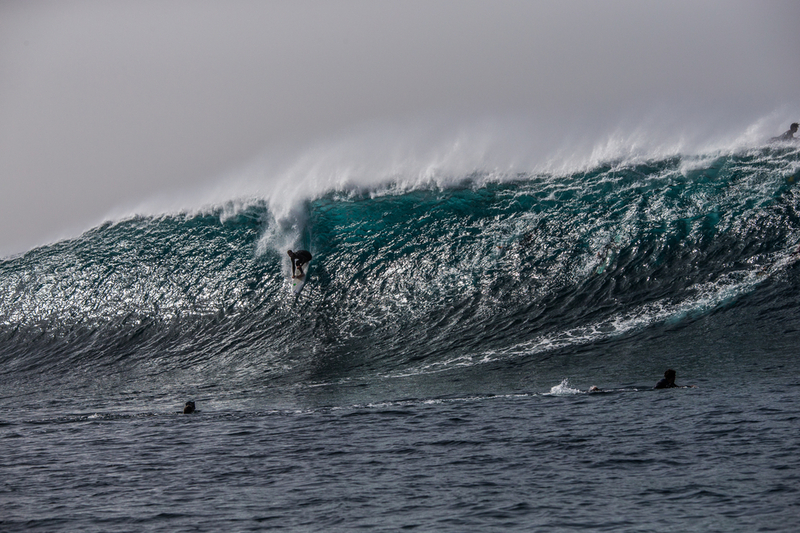 “On Friday, tow teams were warming up on the outer reefs,” says Manu. 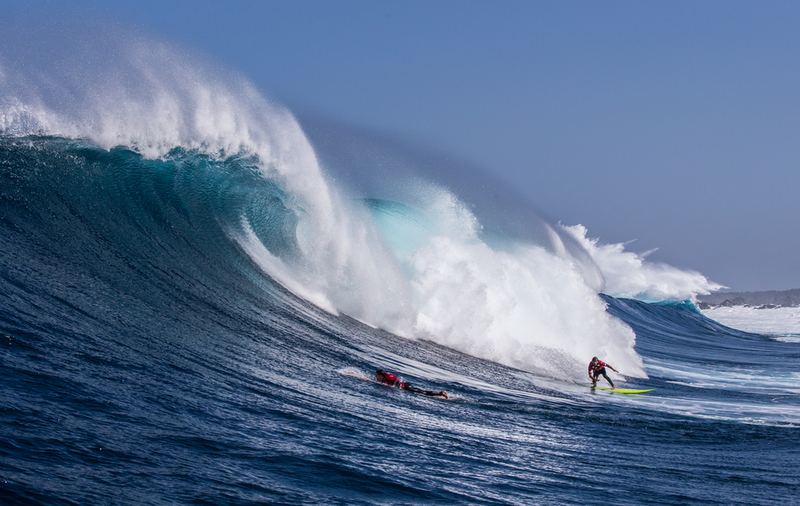 “That was until Manu Lezcano decided to paddle out by himself on an almost maxed at Lanzarote on his 7'8” gun. Jose Maria Cabrera followed on a 6'7” but decided he needed a bit more length and switched to a 7'6”, followed by Sancho on a 8'6” … this swell was no joke. 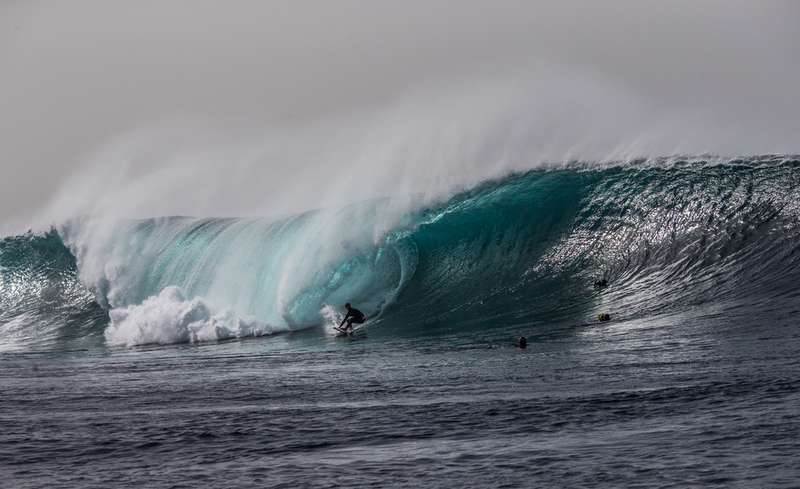 Saturday was more of the same, but the swell had been building throughout the day. Just before sunset, the boys surfed solid 20ft waves with bigger sets still rolling in until after dark. The following morning, waves were eerily glassy, 20ft but fading, fast. 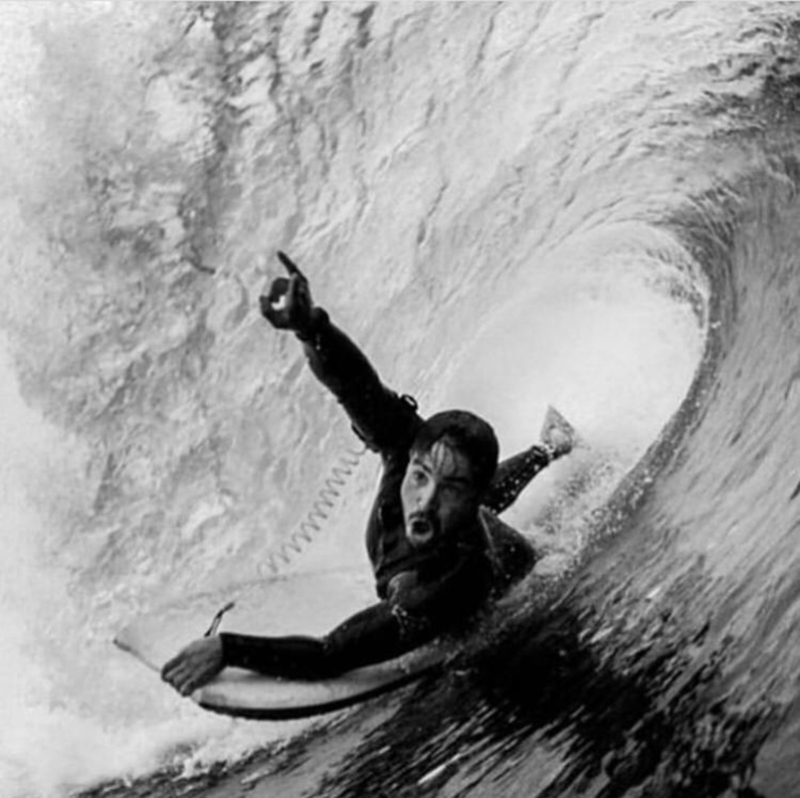 “Everybody was so tired that nobody surfed that afternoon. But waves were coming again,” says Manu. Then, Monday just gone, the sound of the ocean hammering into shore woke most of the locals before the sun had even risen. 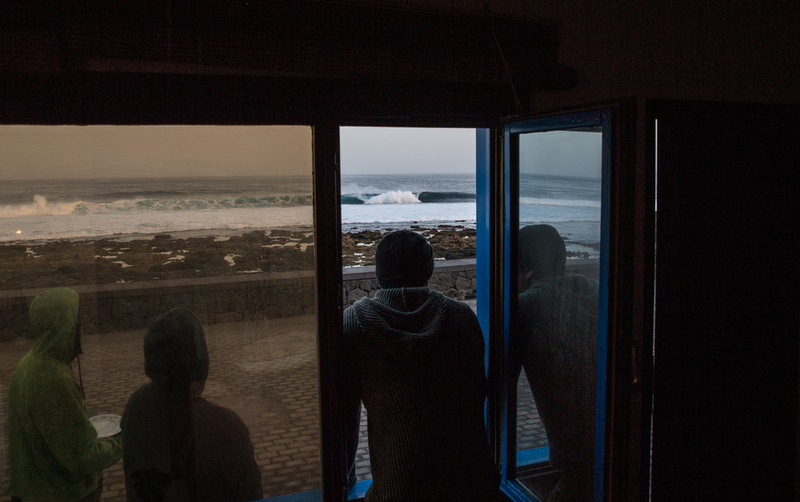 “I just opened the window and the ocean was gnarly,” says Manu. 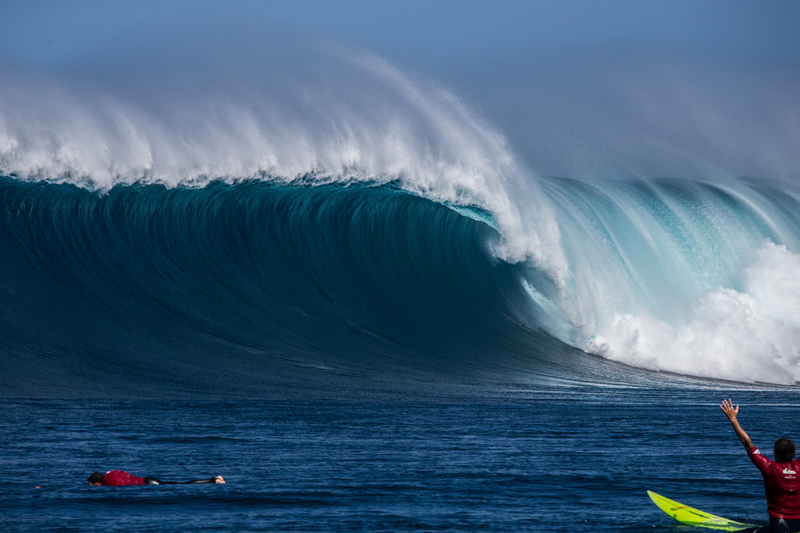 “Big rips, lots of moving water and the beach was getting destroyed. “But the crew got ready anyway. The jets skis were out there again to do safety. Local talented shaper Yeray Garcia got a bad wipe out on his first wave injuring his shoulder. But the conditions... so clean... we couldn’t believe it. 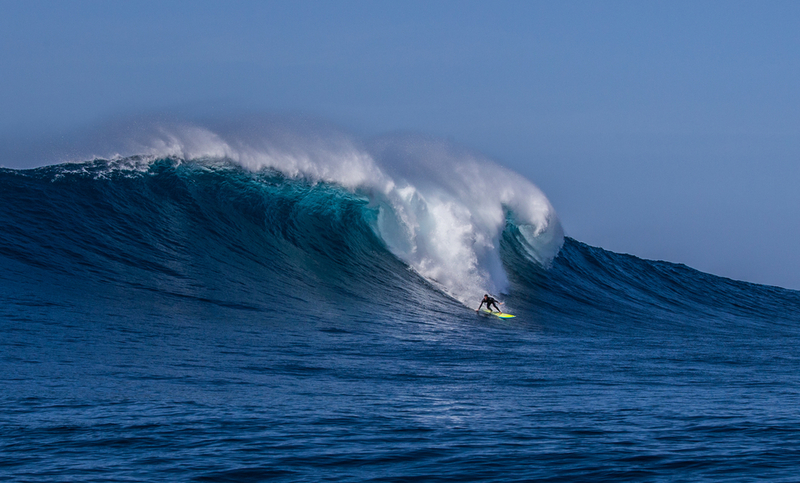 As war stories were told over the next few days, of monstrous waves surfed, of the injuries and camaraderie that went with tackling a swell of this magnitude, it was decided to hold an emotional celebration of Santi's life – close friends and family paddled out at La Santa to honour his memory. Monchi hucking into a bomb.